So there was John Tavares playing for his childhood dream team Sunday night at Madison Square Garden, skating against the Rangers. He had a pointless game in Toronto’s 4-1 loss. Tavares will have a more significant return to New York on Feb. 28. That’s when he will face his old team at NYCB Live’s Nassau Coliseum in front of the fans he left behind after nine seasons. But Tavares won’t be second-guessing The Decision there. Regrets about leaving the Islanders and going to Toronto? Not even a few. 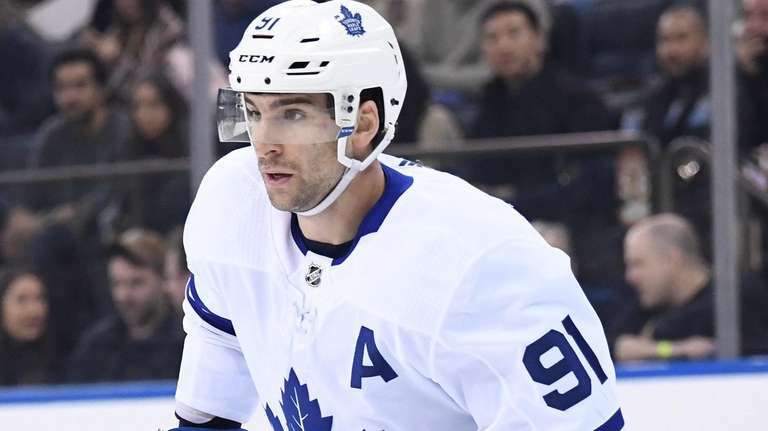 Despite all of Tavares’ achievements for the Islanders, the forecast for his reception is chilly, given all the disappointment and anger that was expressed when he chose to take Toronto’s seven-year, $77-million offer as a free agent. The Islanders won the first meeting against Tavares, 4-0 at Toronto on Dec. 29. They’ve excelled without their 28-year-old former captain and franchise center, rising to the top of the Metropolitan Division. But Tavares has been worth every cent the Maple Leafs have paid him. He has 33 goals and 27 assists in 55 games and is plus-15 for a 34-18-3 team that is second in the Atlantic Division (a point behind the Islanders in the Eastern Conference standings) and has the look of a Stanley Cup contender. Tavares is just happy living his childhood dream.